You walk into the gym, all ready for the day from hell.. Out comes the foam roller, then you knock out a few minutes on the elliptical or treadmill, stretch your legs a bit, and head to the squat rack. After grinding out a few reps, something weird happens. The weight seems to be crushing you — you just don’t feel in charge. Fast forward twenty minutes. Squats are done, and it’s time to hammer away on the leg extension machine. Suddenly, you’re fired up. 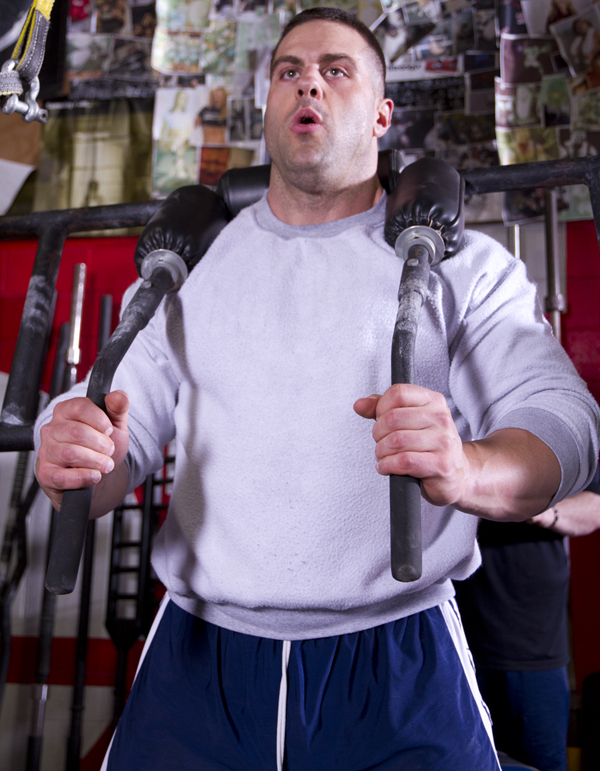 You are pumping up those quads like there is no tomorrow, and loving it. Muscles that seemed sluggish and slow before are now fired up and ready to go. Well, often it takes a little bit for your central nervous system to get fired up. Unlike bench day, where most trainees are ready to crush their chest like there’s no tomorrow (hence they are already somewhat fired up), legs are often a sore subject (pun intended). Forcing yourself through the motions will eventually get you going. However, it may take a little longer. This is why the first few exercises are miserable. You could take a pre-workout before you begin, but if you don’t handle stimulants well, you’re out of luck, right? Wrong. Enter our solution. Why not get your body fired up and ready to go before you even touch a barbell, leg press, or dumbbell? Walking on the treadmill warms up your legs, but only in the technical sense. They get a little warm due to blood flow. What I want to see is a dynamic warm-up that preps your joints, pushes some blood into the legs, and gets you fired up and ready to crush your workout! A dynamic warm-up, that progressively gets harder and harder, followed by depth-jumps between sets of your big compound exercises. That’s right, depth jumps. As in, stand on a box, jump off, land with your knees soft, and repeat. Think I’m crazy to throw that in between heavy lifts? Think again. In the study, An Investigation into the Acute Effects of Depth Jumps on Maximal Strength Performance, by Bullock and Comfort, the researches looked at immediate effects of depth jumps on maximal strength performance, specifically in the one-rep squat test. The researchers used 14 male collegiate athletes who had been consistently training for two years, three days a week minimum, who regularly performed back squats and plyometric training. The squat was a back squat to 90 degrees of knee flexion, measured beforehand by a goniometer, and supervised by a strength and conditioning coach. During the test, 1RM squats were tested, either with no depth jumps, or with two, four, or six depth jumps, with four minutes of rest between the jumps and squat attempts. The subjects were tested on five different occasions, at least three days apart. The research concluded that two, four, or six depth jumps performed four minutes before a 1RM back squat increased the subsequent 1RM by 6.26, 6.09, and 6.8% respectively. The researches concluded that depth jumps could be very useful between squat sets to improve performance. I have tried this, and it works. By no means am I an incredible squatter, but I definitely added some weight to the bar, and just felt better about my performance. So, here is your leg workout for the next few weeks. Try this in place of whatever you are doing, and let me know how it goes. Note: This is a primarily quad-dominant workout. I haven’t seen research that shows the effect of plyometric training on other lifts, but I would imagine this could also increase 1RM deadlift and hip thrusts. We are using barbell back squats in this program as that is what the research examined, but I don’t see why this wouldn’t carry over to front squats, goblet squats, or any other variation. Foam roll: hamstrings, IT band, adductors, quads, glutes, calves, any upper body areas you want to address. A2. Depth jump from bench or 18” box. 30 seconds between A1 and A2, rest 2-3 minutes, repeat. Note: this does not include warm-up sets. Spend a few sets ramping up to your 3RM before adding in depth jumps. 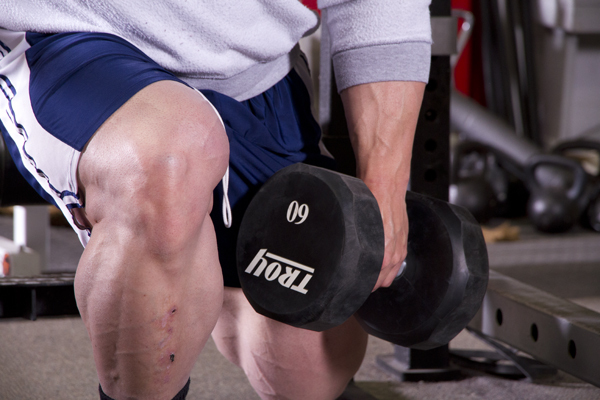 Stop just short of lockout, and never allow the weight stack to rack – keep constant tension on the quads. The leg raises are to recruit the hip flexors a little bit, as well as get in some abdominal work. Rest 2-3 minutes, repeat. Again, this is a very quad dominant workout, and assumes you have a squat day separate from a hip hinge/deadlift day. Make sure your other day includes some form of deadlifts, hip thrusts, kettlebell swings, and some isolated hamstring work if you want. If you combine squats and deadlifts on the same day, keep your program as is, and just add the jumps between squats, and deadlifts if you want to try that out. So there it is, a unique but effective way to fire up your squat workouts and maybe move a little more weight. Try it out and let me know what you think! This post was originally published on EliteFTS.